This section covers contacting server administrator. 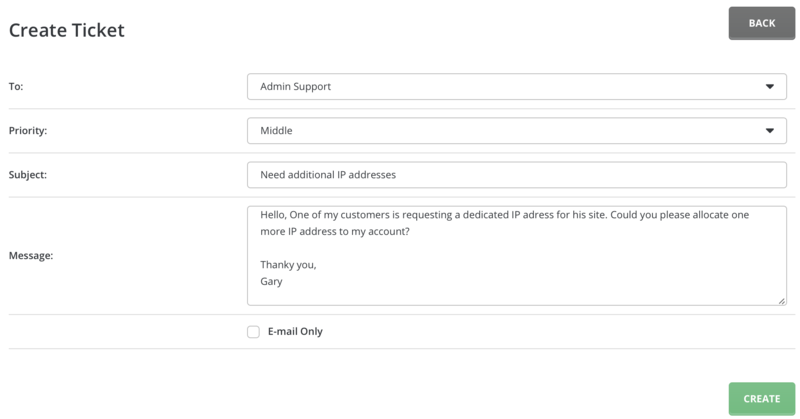 To contact server administrator, sign into the control panel and then click on the "Support & Help" icon, followed by the "Contact Administrator" link. The "To:" field will be preset to "Admin Support". Select the message priority, message subject, and type your support request into the message body. Click the "Create" button when you are finished.